As the main clean equipment of biological experiment, biosafety cabinet is one of the laboratory equipments to prevent toxic and harmful air suspended particles from harming laboratory personnel, thus protecting laboratory personnel and environmental safety. 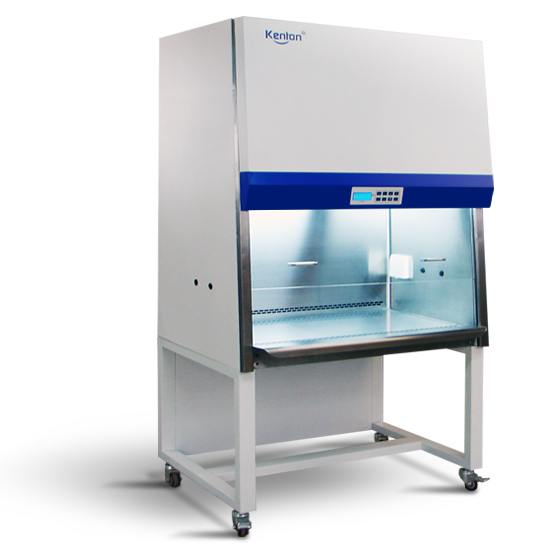 A good biosafety cabinet can not only protect people and environment, but also improve service life and efficiency. As laboratory equipment, it also needs to be maintained regularly. The following are the key points of biosafety cabinet maintenance. Using 70% alcohol (other fungicides depend on the material used by the user) to thoroughly purify the surface, side wall, back wall and window of the working area inside the biosafety cabinet. Do not use chlorine-containing fungicides, as it may cause damage to the stainless steel structure of the safety cabinet. The surface of ultraviolet lamp and power outlet should also be cleaned. When cleaning the inside area of the safety cabinet, the operator can not enter the safety cabinet except by hand. 1. Check the residue at the hole of the captured paper. 2. Wash the drainage tank thoroughly with 70% alcohol (other fungicides depending on the material used). 1. Use wet cloth to wipe the external surface of the safety cabinet, especially the front and upper parts of the biological safety cabinet, to clean up the accumulated dust. 2. Check the reasonable use of all maintenance accessories. 3. The above daily work items. 1. Check any physical abnormalities or faults in the biosafety cabinet. Check the fluorescent tubes to make sure they work properly. 2. MEK (methyl-ethyl-ketone) can be used when stainless steel surface is hard to remove. After using WEK, wash stainless steel plate with clear water and liquid detergent quickly, and wipe with polyurethane cloth or sponge. Regular cleaning of stainless steel surface will keep it smooth and beautiful. 1. Qualified certification technicians conduct performance certification for safety cabinets. 2. Replace an ultraviolet lamp.